Material has memory. The objects that surround us offer comfort and identity and become carriers of our stories. 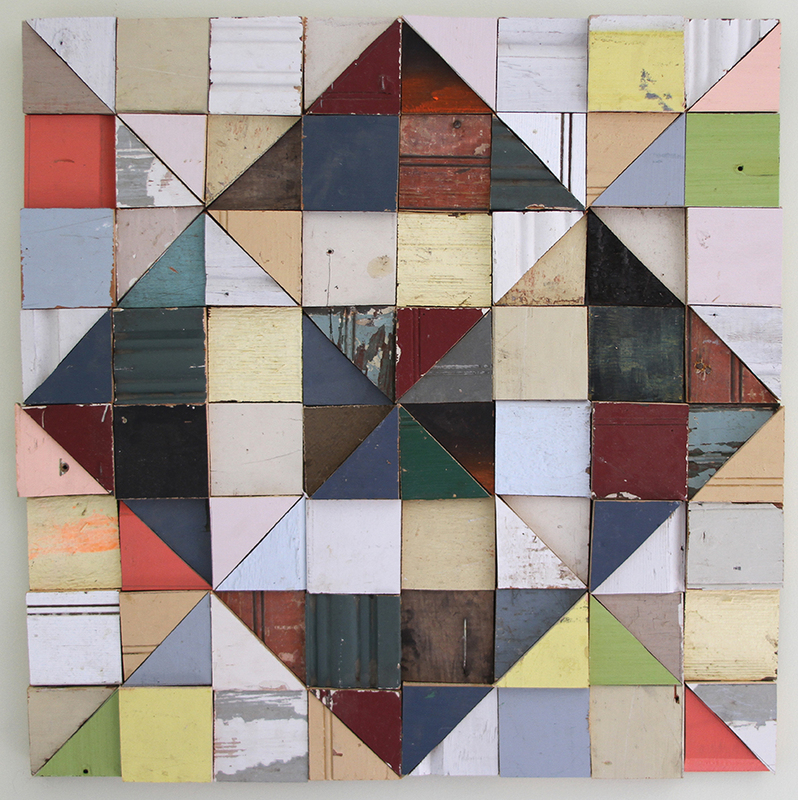 It is this profound sense of embedded meaning that propels my salvaged materials quilts. My story of the wooden quilt series began after the devastation that Hurricane Sandy brought to coastal communities in fall 2012. In its aftermath, the once organized communities and lives of the residents were recognizable only as piles of rubble distributed haphazardly during the chaos of the storm. Clapboard siding, floorboards, cabinets, and window frames, were often all that remained of homes torn apart by the storm's ferocity. The intimate textures of this wood, with its chipped layers of paint, nail holes and grain, tell a story and suggest another prior life in the faded colors and worn surfaces. The material is left as I find - I never alter the color or texture. Inspiration came from the American ideal of a pioneer woman's can-do resilient spirit and instinct for survival. I learned that these women crafted quilts for warmth and comfort with scraps of cloth. 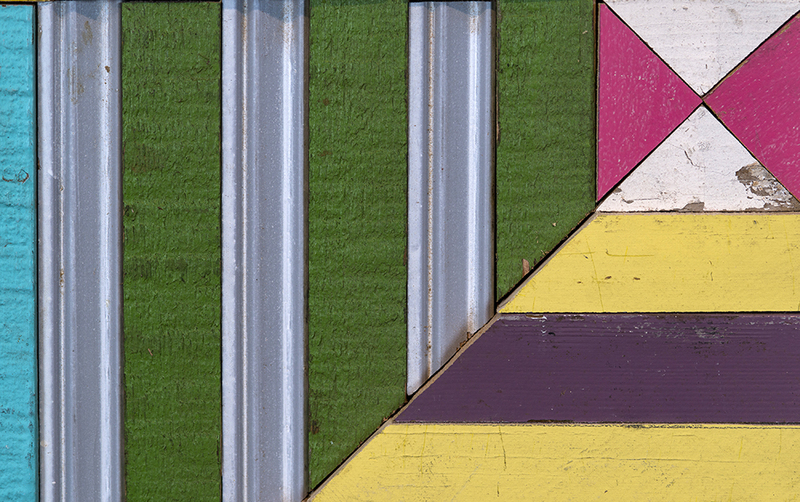 These wooden quilts also recall a past heritage of craftsmanship and labor. As both formal, abstract art objects and expressions of feminism, traditional American patchwork quilt are designs I find familiar and comforting. 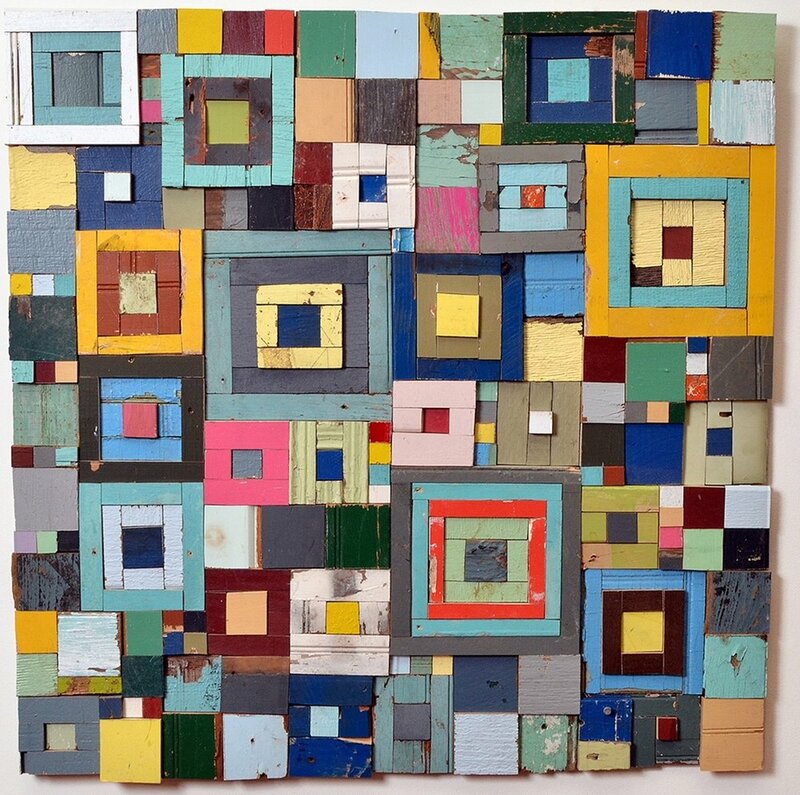 I piece together this salvaged wood into something meaningful and orderly, seeking solace from Hurricane Sandy. Most recently, I have begun to collect wood from other parts of the country that have suffered environmental disasters - such as wild fires and tornadoes. This expands the conversation of using discarded scraps of wood that once had different purposes and broadens the idea of community. I am drawn to quilts because they are symbols of hope and infused with meaning--political, communal, familial, and personal.